Here comes the next parts section update. 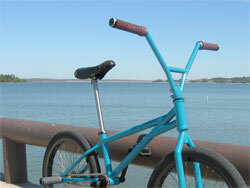 London Bikes has a new website to presents the new frame and handlebars. The frames are handmade and really light with 1701 g / 3.75 lbs. Besides the handlebars with the traditionally low crossbar they offer a brandnew bar-stem combo. You can even order your customized version online.